We both enjoy walking, and established Wild Atlantic Walking Tours –wawt.ie when we noticed that it was often difficult to find local walking guides in beautiful walking areas in Ireland when we walked here ourselves. In addition, working as a walking and tour guide for companies abroad bringing groups to Ireland, Jan often met great local guides. But most were either not easy to find online, or worse still, had no online presence at all. This was the seed of the idea that started Wild Atlantic Walking Tours, and the project then evolved and expanded to promote both our own walking business, and that of others. At Wild Atlantic Walking Tours individual or small-group walkers can choose from a variety of walks to suit all grades, and book directly through the website with a local guide for a Day walk. In addition to booking a single walk with a local walking guide for a day, we also cater for larger walking groups on dedicated walking holidays, and organise tailored Guided Walking Tours for Groups (Send Enquiry), including accommodation and transport. For those walkers who do not wish to have a full formal walking holiday, we also provide a more flexible service, providing linked bookings for a series of walks in different areas, with several local guides, with or without accommodation, as required. These types of walks can be booked under our Extended Walking Tours (Send Enquiry). Our continued quality of service is very important to us, and all local guides included on Wild Atlantic Walking Tours website are assessed on an annual basis to ensure that their qualifications are up-to-date. Ongoing support and review of all walks included in Wild Atlantic Walking Tours is provided by local guides. Furthermore, these reviews are informed by a programme of walking-customer feedback, which is run through the website. 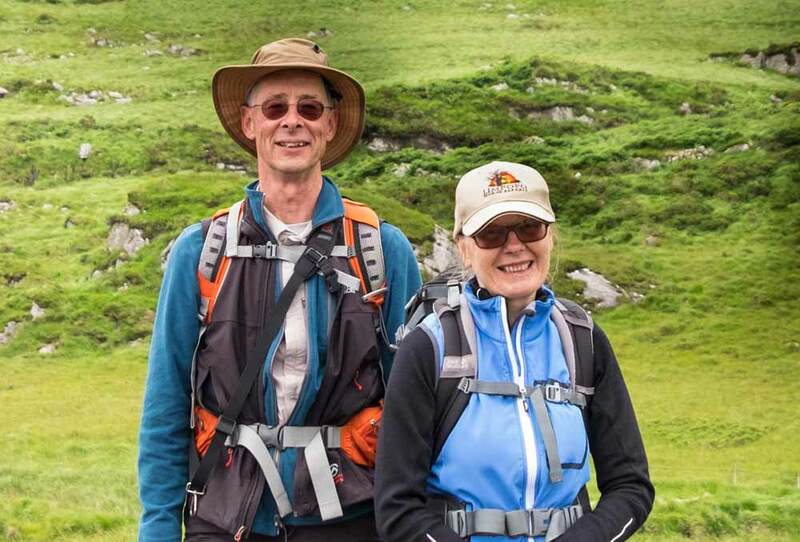 We at Wild Atlantic Walking Tours are here to provide a crucial link between visiting walkers and walks with local guides, and to ensure that the best quality walks are there for our walkers’ total enjoyment. We look forward to walking with you soon!